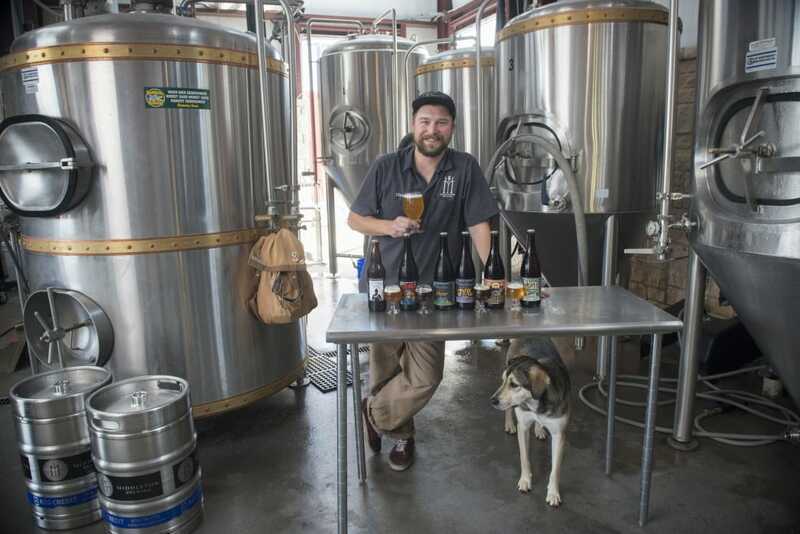 San Marcos has a vibrant nightlife, including several craft breweries that are making unique local offerings, like Middleton Brewing. San Marcos is full of trails for hiking and water for floating, but the fun doesn’t end when the sun goes down. San Marcos is a college town stocked full of bars, breweries, restaurants, and live-music venues to entertain those looking for a little fun. Like most things in San Marcos, the action revolves mostly around the Square. This historic downtown area is home to charming neighborhood cafes, rustic honky-tonks, laid-back dive bars, and hip breweries where visitors can dine, dance, or relax. 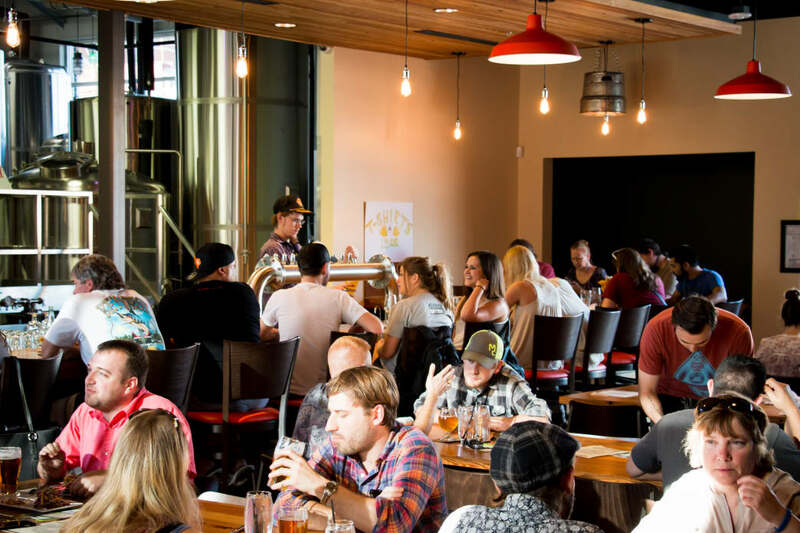 Craft beer aficionados might be surprised by how many options this tiny town has to offer. You might start your day in San Marcos with a cup of coffee and a warm handmade pastry at The Root Cellar, but this local favorite breakfast spot is just as popular at night when homemade beer overtakes coffee as the beverage of choice. The Taproom features more than 102 beers, with at least 40 of those on tap, while Sean Patrick’s Irish Pub is always a favorite for letting loose while drinking one their six house beers (or the more than 70 on tap!). Middleton Brewery is one of several local options for craft beer. For high-quality breweries outside the square, check out Middleton Brewing, a brewpub that offers Belgian, American, and English-style beer. If they have it, try the jalapeño beer, which is always a fan favorite. If you prefer German-style, Altmeyer & Lewis Brewing Company is for you. Following the traditional 500-year-old German practice of Reinheitsgebot, the brewers only use four ingredients to make their beer: hops, barley, water, and yeast. Even though nearby Austin promotes itself as the live music capital, San Marcos has more than 30 music venues, which means music lovers can catch a show any night of the week. 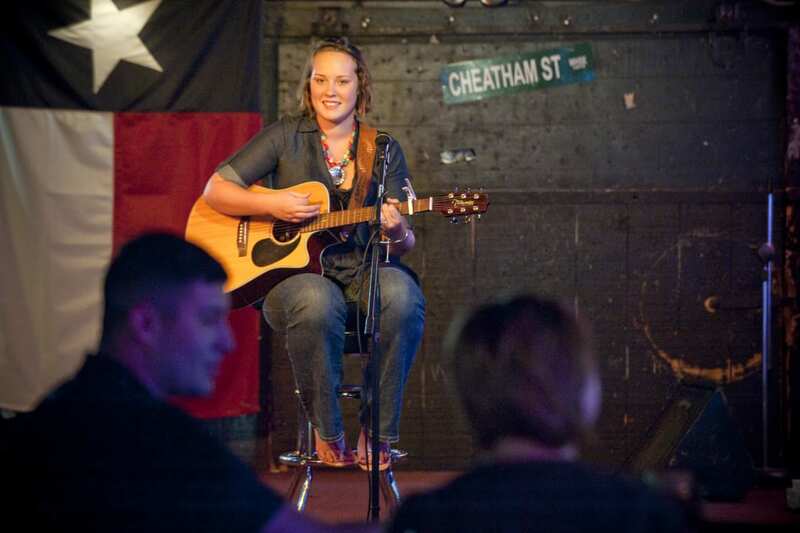 The Cheatham Street Warehouse features a wide variety of live music to enjoy. Since 1974, Cheatham Street Warehouse has been the town’s quintessential go-to honky-tonk. The laidback bar features live blues, country, rock, and soul bands several times a week. Every Wednesday night songwriters stop by to perform original music during Kent Finlay’s Songwriters Circle. Over the years, George Strait, Randy Rogers, Stevie Ray Vaughan, Shelley King, and many others have honed their skills on its stage. On the other side of the spectrum from a dark honky-tonk with cheap domestic beers, AquaBrew features a large outdoor deck and stage, and its beer garden is the perfect place to enjoy one of its creations while listening to live music. The brewery and restaurant is just steps from the square and Brewmaster David Jones produces a wide variety of offerings onsite. The beer list usually features about 15 in-house creations, including an easy drinking AquaBrew Irish Red Ale, an intensely dark AquaBrew Oatmeal Milk Stout, and a fruity AquaBrew Mosaic IPA. It is not just great beer that attracts a crowd, most nights of the week musicians grace the stage to provide a live soundtrack to all the fun. AquaBrew typically features 15 of its house-made beers on tap. One of the newest additions to the San Marcos music scene also has by far the best daiquiris in town. Not only does Crafthouse Kitchen and Tap have a menu full of burgers and beer and live music every Friday, Saturday, and Sunday night, it also serves up more than 40 varieties of daiquiri. Choose from traditional flavors like mango margarita, piña colada, and strawberry lemonade, or try something unique. If you are daring, order a Suicide, which is all 40 flavors mixed together in one cup. The Marc is possibly the best sounding live music venue on the square. With its state-of-the-art sound equipment, the club hosts many of the national acts passing through San Marcos. Set in a 1930s gas station, Zelicks Icehouse is known for its craft cocktails and huge beer list. For those who want to catch up with friends on a lovely patio, try Zelicks Icehouse. Zelicks calls itself the Best Little Ice House in Texas. Set in a 1930s gas station, Zelicks features an al fresco seating area that’s the perfect place to drink an ice cold beer on a beautiful afternoon. The bar serves craft cocktails and features a huge beer list. With plenty of outdoor space surrounded by green plants, the bar has one of the best patios in San Marcos. Televisions, pool tables and Texas-inspired games like washers, horseshoes, and corn hole are available, too. For those who want nothing more than to drink an adult beverage and play childhood games, Chances R and Black Rabbit Saloon are great options. Not only does Chances R, have pool, shuffleboard, washers, and karaoke, they also have the self-proclaimed best cocktails in San Marcos. It is definitely worth a stop to grab some free popcorn and play a game of washers. Black Rabbit Saloon is like a grown-up game room with whiskey. Choose from Skeeball, Golden Tee Golf, darts, pool, and a number of arcade games both vintage and new. All your favorites from childhood, plus an impressive selection of whiskey—140 varieties to be exact! So while you may spend the day on the water, save a little energy for the nighttime. No matter your taste in music, food, and drinks, you’ll find something to love in San Marcos.